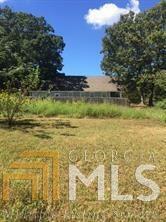 Large level vacant 50x200 lot in the best SW Atlanta Neighborhood! Less than 800 steps to beltline entrance. Perfect for investor or incredible opportunity for owner occupant to build dream home. Lot is located in Historic Adair Park on a quiet street lined with beautiful craftsman homes. This great investment is made sweeter with tons of new development in the area and amazing neighbors.